Karrie Bowers of Morgantown, W.Va., shows how to make this design that's sure to make your heart bust at the seams. Karrie Bowers (@beautopianails) of Morgantown, W.Va., shows how to make this design that's sure to make your heart bust at the seams. 1. 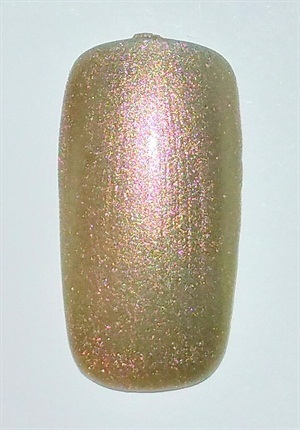 Paint the entire nail with CND Shellac Grand Gala. Cure. 2. Paint thick lines with a dove gray or white shade beginning at the center point and radiating outward. Make the lines thinner at the convergence, getting wider as they reach the edges of the nail. Cure. 3. Using a contrasting shade, like Hot Pop Pink, paint a heart at the convergence of the lines and cure. Finish with top coat.